Flop, flick, swish – is your hair annoying when you run? 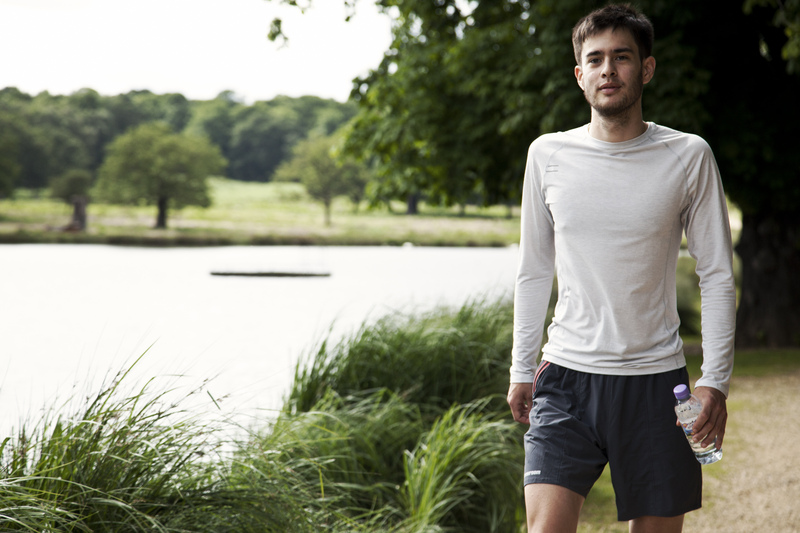 Or are you one of those perfectly groomed runners who can run, even in the middle of summer, without their face looking like a sweaty beetroot and with hair looking like they stepped straight our of a shampoo advert? Sad to say, and you might have guessed it, but I’m not one of those people. I’m more the sort of person who has posted pictures of her strange ‘tummy sweat’ marks and who has amazingly bad hair on a windy day. Maybe in judgement my hair seems to have been possessed by a series of different characters this week. It was recently cut into layers and hasn’t quite decided which way it wants to go. First I spent a day with Justin Bieber’s hair on my head (which resulted in near whiplash from the associated head flicks throughout the day). Then I woke up with Morrissey’s quiff atop my head (this was pretty cool, but sadly I frightened it away when washing my hair after running). Things went downhill from there, where Bryan Ferry’s greased back look was followed by Gail from Corrie. Today I ran 6 miles. I pushed my hair back with my faithful hairband from Decathalon, it was humid after last night’s amazing thunderstorms, and I had been sweating. A lot. I peeled the hairband off when I got home, and low and behold my hair was suddenly transformed into a 1970’s Charlie’s Angels’ style flick. I am sure that I’m not the only one with difficult hair. I enjoyed reading Vikki’s blog over at “If you can’t move it, climb it” where she reviews a head band and visor. I’m still wondering if either would sort my hair out. If you want to make me feel better please feel free to comment below and share your hair disasters. Alternatively let me know how you keep your hair looking fantastic as you run. And if you’re the girl who was sick at the Longleat 10k several years ago, I hope you were okay and wow I loved your hair. Sounds like a great combination, doesn’t it? As a running event I’d always vote for walking up hills and having lots of food. Oh and small events where you’ll always know someone. These were the best bits about ultra running, according to @abradypus (otherwise known as Louise). On Friday afternoon I was delighted to be sat in our local farm shop and cafe with the very lovely and chatty Louise and her husband. They were on their way to Wales and suggested we meet up for a coffee (which turned into a cream tea. Yum). She was telling me what she loves about ultra running, amongst many other random things we chatted about. It was all sounding great, apart from the actual distances you have to cover. For someone who only started running in 2011 she has come a long way! This weekend Louise is competing in the 100Km ‘Race to the Stones’. I’d like to wish her a great race, with people she knows, lots of uphill walking and good food at the pitstops. I’m sure she’ll be blogging about the race over at abradypus.wordpress.com so do pay her blog a visit. Chippenham 5K River Run 2014. Data wrangling. It had been another beautiful day, and the weather was just perfect for racing in the evening. After last week’s 10K disappointment I felt like everything was riding on tonight’s 5K. No pressure then. I wrote last year’s time and pace onto my hand, put my running kit on, cooked dinner for my children, raced around looking for car parking money and shot out of the door with about 45 minutes before the start time. Fortunately I don’t live far from Chippenham, and even more fortunately as I crawled around the packed car park I managed to nab a space. I bumped into a good friend at the start, so was feeling in high spirits. From the off all went well. I survived the usual crush at the start, I kept an eye on my pace to keep it close to last year’s. I overtook when I could (not easy on this course) and tried not to hold anyone up when I could hear them coming up behind me. I crossed the line and my Garmin said 26:47. Checking my smudged hand, last years time was 26:46 – so close! I was aware that in non-chip timed races it’s vitally important to keep in the same order in the finish ‘funnel’ as you crossed the line in. Just after I’d crossed the line, two guys were racing hard over the line, and shot past me. I got one of them to move behind me in the funnel but I wasn’t 100% certain that the other chap had crossed after me so I left him where he was. Provisional results were out the next day, and gave me a time of 26:49 – 3 seconds slower than last year. I was a little disappointed, but to be honest I still felt very happy with my race as I’d run the best I could on the night. To be that close to last year’s time (when I had trained really well for it) was actually pretty amazing. Looking closely at the time of the chap recorded as finishing in front of me (in case he had ‘pinched’ my place) then my time would have been 26:48 – shaving a whole extra second off. I uploaded my data to Strava and was pleased to see some good results on segments on the route. Various friends gave me kudos and one (who had also run this race last year and this) made a very interesting observation. He pointed out that the course we ran this year was actually slightly longer than last year. On coming off the riverside path last year we cut straight up onto the road whereas this year we ran a little longer by the river before angling up to the road. For last year’s race my Garmin recorded 3.09 miles, whereas this year’s was 3:11. Now, here comes the data wrangling bit! If I look at this year’s data and stop it at 3:09 miles, it gives me a time of 26:40 Woot woot!! Anyway, even without funnel line pushers-in, and slightly longer routes, I am very pleased with this year’s time. Even with my data wrangling I can’t really claim it as a new PB but I am still very pleased with my time and not at all disappointed. I received proof positive that I’d worked really hard in the race when I returned home. My teenaged daughter proclaimed that I ‘stank’ and I was leaving a ‘trail of stink’ as I walked around the house. Lovely! 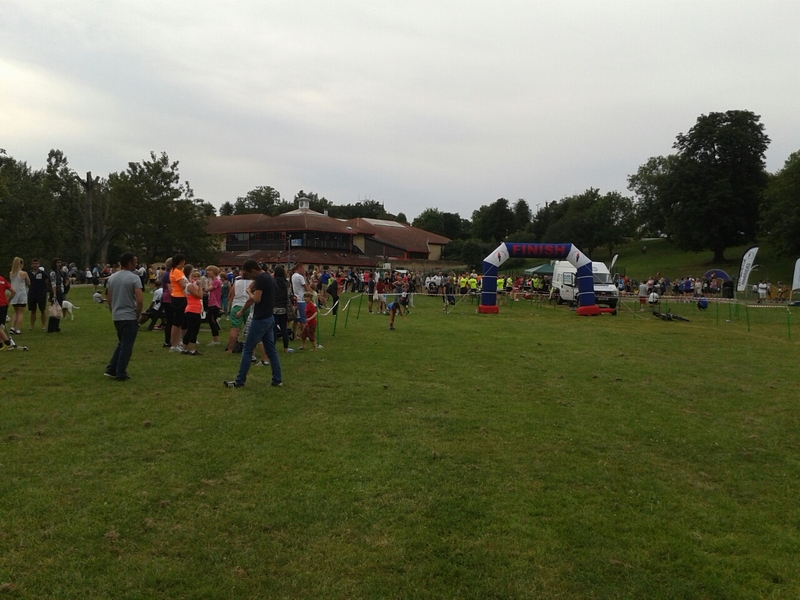 Posted on 09/07/2014 Categories 5K, Race reportsTags Chippenham River RunLeave a comment on Chippenham 5K River Run 2014. Data wrangling.